A portrait of University of Massachusetts Amherst English Professor Emeritus Arthur F. Kinney, painted by Artist & Suffolk University Art Professor Lydia Martin, was unveiled during the official opening of the Kinney Center for Interdisciplinary Renaissance Studies at UMass, Amherst, MA, on September 18, 2017. The portrait will hang in the center's reading room. Over 100 invited guests attended the ceremony. September 18, 2017, Commissioned portrait of UMass English Professor Emeritus, Arthur F. Kinney, painted by Artist, Lydia Martin. 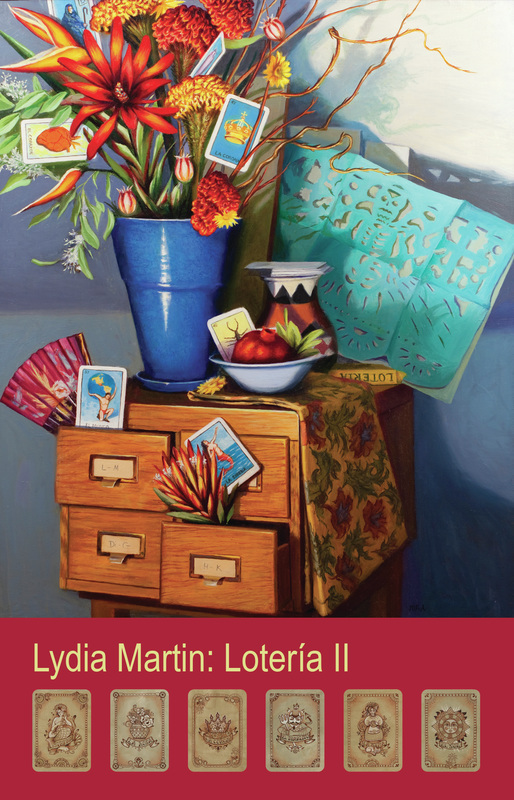 James McNeil Whistler House Museum of Art, Lowell, MA, Lydia Martin: Loteria II , solo exhibition, June 24th-July 25th, 2015. 3 artists exhibit http://miltonartmuseum.org/events.htm - juror: Kaveh Mojtabai- Artscope Founder & Publisher. Exhibition at SUNY: "Women of Juarez" -San Diego Tribune- exhibition review, October, 2007.